Probably one of the most well known and popular thermal bath in Budapest is Széchenyi. Located in the Pest side, Széchenyiis the largest thermal spa in Europe. Széchenyi consists of three large outdoor pools; a main swimming pool and two thermal baths. Indoors there are around 6-8 thermal baths as well as a sauna and steam room. Treatments are also available to book if you want to enhance your visit with a relaxing massage. Entry was 5800 HUF (approximately £15) and included free access to a locker. Towels could be hired for a deposit 4000 HUF (approximately £10), of which you received 2000 HUF back upon return of the towel. If you have room in your bag, feel free to take a towel with you to the baths to save you having to rent one. We started in the first outdoor thermal pool which was around 29 degrees, as opposed to the 5 degree temperature of the outdoors. It was absolute bliss. The contrast of the large yellow spa building with the turquoise blue of the water was such a lovely contrast; the surroundings were beautiful. 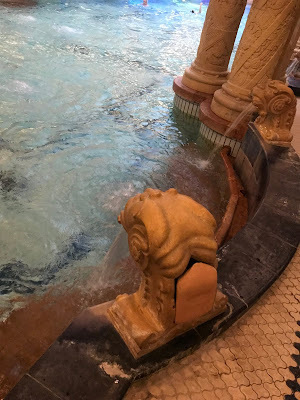 We also enjoyed each of the indoor pools and the sauna. As it went dark, we took another trip outside but this time we visited the second thermal spa pool. This was incredible and I recommend walking (even if it’s cold) to the second pool. 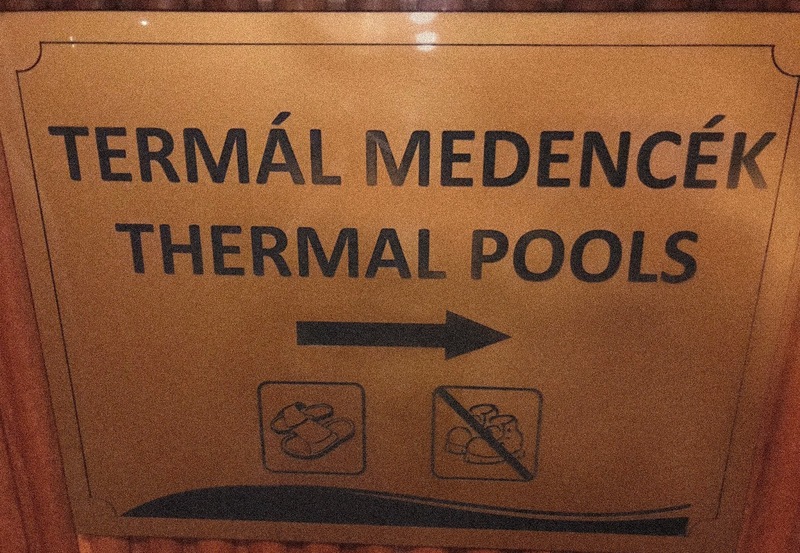 As well as the thermal pool, there was a jacuzzi and also a wave pool. The wave pool was so powerful and was really fun. This was by far my favourite part of the spa. We spent around 3-3.5 hours here but I would happily have spent all day here if I was in Budapest longer. If I visit Budapest again, I will be sure to block out a full day to visit here! The Széchenyi Baths are in a gorgeous area. There is a beautiful lake just a couple of minutes walk from the baths with a fancy restaurant called Robinson on the other side, which overlooks the lake! There is also the infamous ice skating rink to the left of the lake. To the right of the lake across the road is the popular tourist spot, Heroes Square. I would definitely recommend visiting here in the dark as it looks beautiful lit up. The second baths we visited were the Gellért baths. Located on the Buda side, these baths were much smaller but still lovely. Daily entrance is dependent on whether you visit during the week or on a weekend. The entrance fee during the week is 5500 HUF (which equates to £15.08) and includes unlimited entry and a locker. Towels are also available to rent inside for a deposit of 4000 HUF (approximately £10) and you receive 2000 HUF back when you return the towel. Alternatively you can bring your own towel! 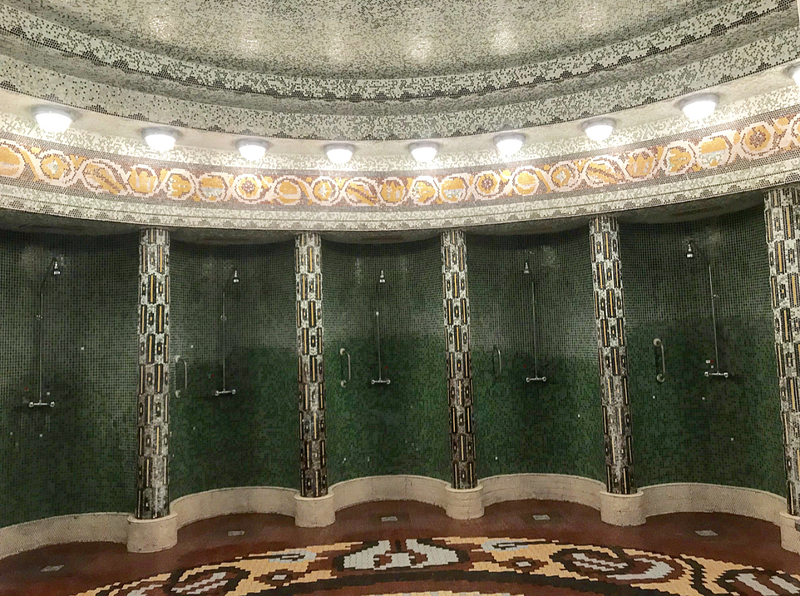 Gellért was really pretty as the interior decor consisted of intricate tile designs. This is what I would refer to as a 'traditional' type of baths. A main tip is to bring flip flops. 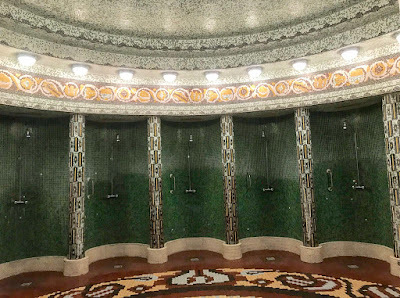 The Gellért baths are very spread out and you find yourself walking a lot between each of the pools and the lockers. We made this mistake and, in particular, it was very very cold outside so I wish we had some flip flops! The Gellért baths consist of an outdoor pool and sauna and 4 indoor thermal pools. It is important to note that two of the indoor pools cannot be accessed unless a swimming cap is worn. You can bring your own or can pick up a disposable one at the baths. We didn’t access these pools and stuck to the other two and the outdoor one as we only spent around 1.5-2 hours here but if you’re planning on spending longer, I would recommend getting a swimming cap! Even though the outdoor pool is a little bit of a walk from the other pools, it is worth visiting. The views are lovely as it’s on the top of a hill so you can see out! I loved the views from up here and could have sat here all day. There is also an outdoor wooden sauna here which is lovely. 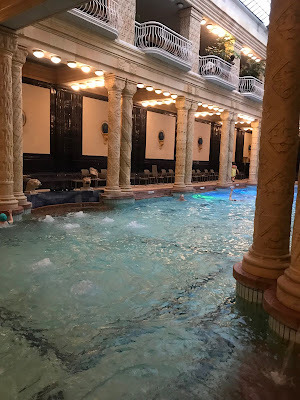 I would highly recommend visiting the Gellért baths before any others as they are lovely but, in my opinion do not compare to the Széchenyi baths. They are much smaller and not as grand but are definitely worth a visit if you do have the time. 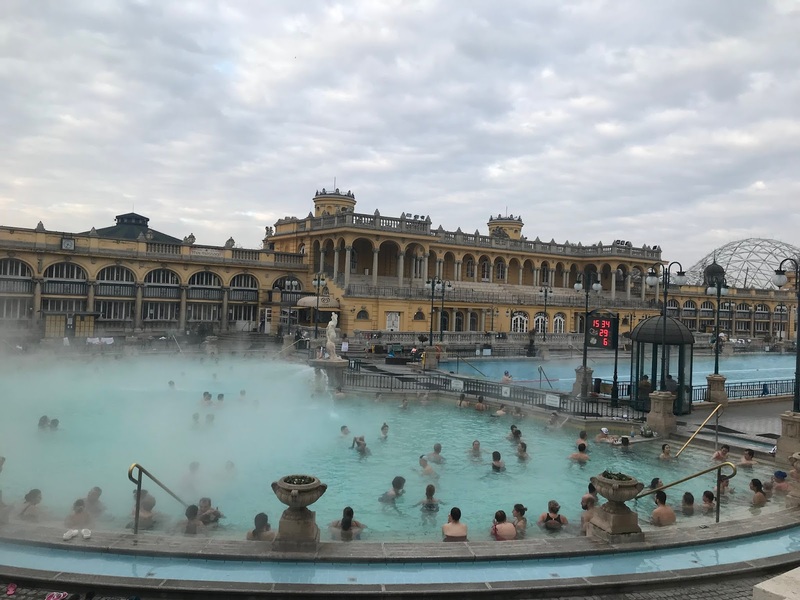 If you only have the time to visit one thermal bath, I would highly recommend Széchenyi! They were out of this world. I’m having major withdrawal symptoms whilst sat on my sofa writing this now! 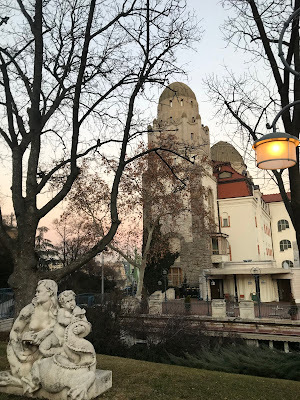 If you’ve visited any of the thermal baths before, I hope you loved them as much as I did! Which ones were your favourite? 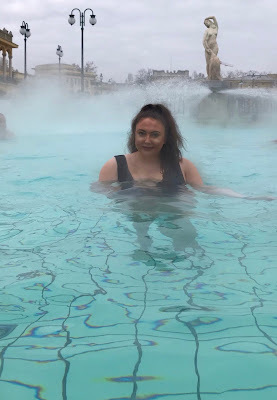 If you haven’t yet visited Budapest or the thermal baths, I highly recommend visiting! You won’t regret it! 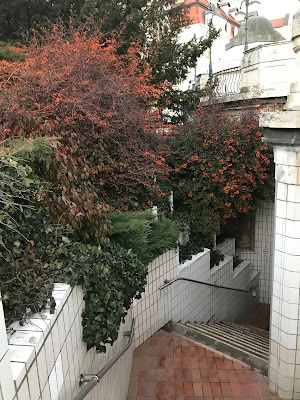 Keep your eyes peeled for more blogs about Budapest, including some of my 'must see' attractions!